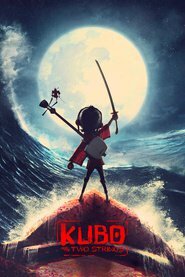 Overview... a fierce companion brought to life to protect Kubo. Originally a wooden charm, Monkey was turned from toy into guardian when Kubo's aunts attacked Kubo and his mother. Armed with sharp teeth and an even sharper wit, Monkey is no doubt a valuable ally. But will that be enough to defend Kubo against his sinister grandfather and aunts? Personality... serious and no-nonsense, but not unkind. Competent and goal-driven, Monkey suffers neither fools nor foolishness. But while she might occasionally be a stern teacher, all of Monkey's actions are driven by love: she loves Kubo like her own son and she's willing to defend him with her life. Monkey's popularity ranking on CharacTour is #2707 out of 5,000+ characters. See our top-ranked characters and read their profiles.